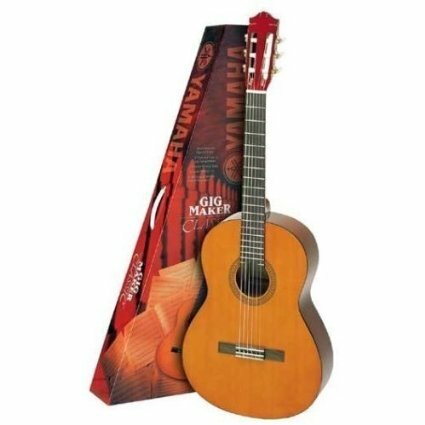 The relaunch of the Guild classical guitar range in early 2007 was good news. I have to admit to having a real soft spot for Guild guitars. I recently owned a beautiful F50 jumbo which once belonged to Gordon Giltrap. Having two classical and one flamenco model in their range puts Guild back into the spotlight as far as this web site's concerned. 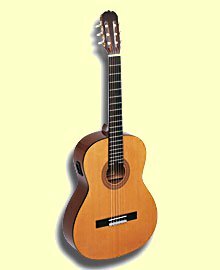 Guild originally launched a classical guitar series back in 1961. According to Guild they were based on German and Spanish traditional construction methods and were highly regarded. It can only be assumed that they fell out of favour as, until 2007, they don't seem to have been in the Guild catalogue for some years. Now part of the Fender group it's hard to tell whether or not the Guild classical guitar range is made in the USA or in one of it's international factories. In the not too distant past Guild were special because their guitars were USA made and distinctly American. The Guild GAD-1 is the base classical model. It has a solid American red cedar top with solid mahogany back and sides. Nut and compensating saddle are bone and the neck is one piece mahogany with an ebony fingerboard. All wood binding and purfling and a rosewood bridge complete the picture. The GAD-2 has the same specification except for its solid Indian Rosewood back and sides. Both guitars have a 650 mm scale length and a 52 mm nut width. The GAD-3, Guild flamenco guitar comes with a solid top of American Sitka Spruce. Back and sides are in solid Indian Rosewood. Other specifications are as the two classical models. 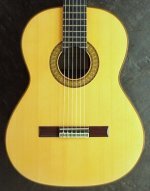 See the Guild classical guitar range here. 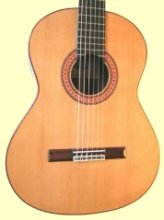 Please let me know if you have a Guild classical and what you think of it. Use the form below.